Check out the attention to detail! 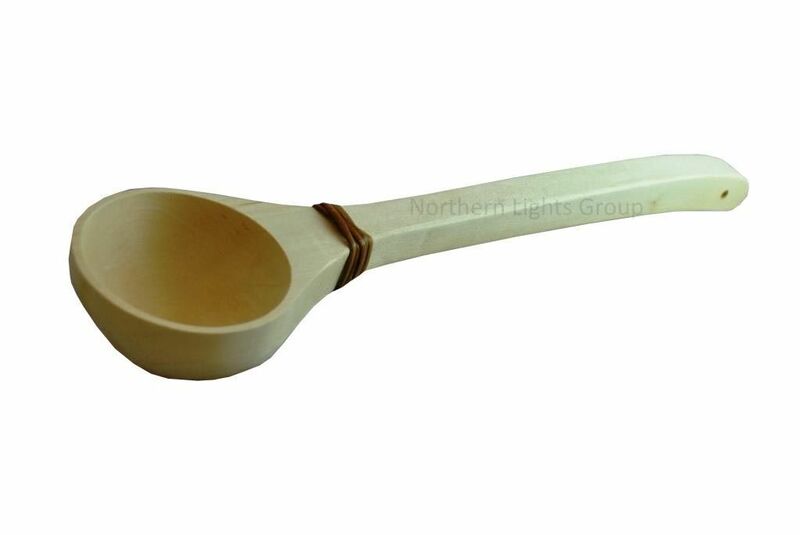 This hand crafted wooden sauna ladle is manufactured by Northern Lights Cedar Products, a world leader in cedar products for the outdoor lifestyles. This is a must for any sauna enthusiast! Made from solid apsen core wood and carved into the soft shape of a ladle. Adding water to the sauna rocks creates the steam. A long handle ladle is required so that the steam does not burn your hand. Sauna ladles are also usefully for applying water to ones body to help bath and cool off when the sauna gets too hot! Dimensions 14 1/2" long by 4" wide. Hold about 1/2 cup of water.